LLC forms. Includes Free E-Signature. Ready for immediate use. Limited Liability Companies are a form of business entity that combines characteristics of both partnerships and corporations. These forms include those needed to both form and operate your LLC. The limited liability company (or LLC ) is a hybrid type of business structure. It contains elements of both a traditional partnership and a corporation. Its uniqueness is that it offers the limited personal liability of a corporation and the tax benefits of a partnership. Since the limited liability company is generally taxed as a partnership, the profits and losses of the company pass directly to each member and are taxed only at the individual level. This avoids double taxation. The members/owners in such a business enjoy a limited liability, similar to that of a shareholder in a corporation. In general, the members’ risk is limited to the amount of their investment in the limited liability company. This is one reason Limited Liability Companies are popular amongst real estate owners and other property owners that want a straightforward business structure. More flexibility than corporations in how profits and losses are actually allocated to the members/owners. Used to amend LLC related documents such as articles of organization, operating agreements and more. Various documents to be used both when forming and dissolving a Limited Liability Company, including Operating and Membership Agreements. Legal forms to assist you with the sale and purchase of membership interests as well as agreements between members regarding company voting. For use by LLCs providing guidelines and forms related to the member meetings including forms for both the first meeting and annual meetings held thereafter. Annual Meeting of LLC Members Helpful tools, guidelines and forms for conducting your limited liability company's annual members meeting. Articles of Organization for LLC Single Member Limited Liability Company Articles of Organization. Operating Agreements for LLC Designed for a Single Member Limited Liability Company. Pre-Organization Kits This kit provides tools to help you determine your LLC's purpose, structure and governance prior to organization. Articles of Organization Amendments for LLC This Amendment will assist you in amending your Limited Liability Company's Articles of Organization. Operating Agreement Amendments for LLC This Amendment will assist in amending your Limited Liability Company's Operating Agreement. Termination of Limited Liability Company Document used to effectively terminate a limited liability company. First Meeting of LLC Members Kit with helpful tools, guidelines and forms for conducting your limited liability company's first members meeting. Limited Liability Company Forms Combo Package Get 8 forms for just $39.95. Save 71%! Single Member LLC Articles of Organization and Operating Agreement Forms. A Limited Liability Company is a business structure generally regulated on a state-to-state basis. In a Limited Liability Company, the owners (often called “members”) will indeed limit their liabilities by maintaining the LLC as a separate legal entity. This is one reason Limited Liability Companies are popular amongst real estate owners and other property owners that want a straightforward business structure. Additionally, a Limited Liability Company’s structure allows for “pass-through” taxation, which is a great strategy for avoiding double taxation – in essence, a partner in an LLC only has to pay taxes on their profits once. 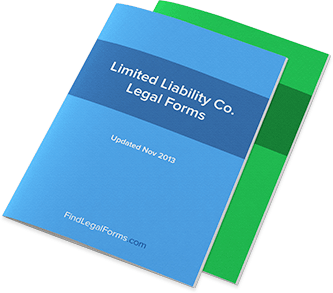 What kind of forms do I need to start a Limited Liability Company? The most important form for you to use is Articles of Organization, a form that should be customized to suit the needs of your individual state – LLC’s, after all, are highly regulated by each state and therefore the rules of each state vary. The actual Articles of Organization form is really all you legally need to start a Limited Liability Company. However, using an Articles of Organization kit complete with checklists and questionnaires can help you understand everything you need in order to get the LLC started. What is an LLC’s Operating Agreement? This agreement – between the founding members of the LLC – lays out the structure of the company, its name, how the company will be managed, etc. Essentially, the Operating Agreement presents the structure and strategy of the LLC. It also presents the details of how payments in the LLC are handled. Company Manager: Determining who is the manager of the company is important, and will have to be laid out here. Name of the Company: Quite simply, what is the company going to be called? Rights and Duties: Not only are the rights of the members listed here, but their duties – such as making member meetings – will also be included. Contributions to Capital and Capital Accounts: This provision records what each member has contributed to the capital at the beginning of the company and describes how the accounts will then be maintained. It’s important to remember that both the Articles of Organization and Operating Agreement, while foundational, can be amended, as you’ll see in the answer below. What if I need to make changes to an LLC down the line? After filing your LLC and filing the Articles of Organization, you may find it necessary to change the basic structure of the company. This is much easier than you may think because it’s a common practice. There are essentially two types of amendments you’ll need to file: Articles of Organization Amendments and Operating Agreement Amendments. Generally, you may need to make changes to both if you’re making a major shift in your LLC. It’s important to frequently refer back to these documents from time to time to make sure that they are up to date. If not, they should be amended to reflect the current situation as soon as possible. What is a Voters Agreement? This is an agreement between the LLC itself as an entity and the shareholders of an LLC – i.e. those who have a vote in how the company will make a decision. These agreements are typically not required for most basic decisions, as those can be left to the manager who’s already been named in the foundational documents of the LLC. However, major decisions may come to a vote, in which case these agreements will be crucial. How do I hold member meetings? In the Articles of Organization and Operating Agreement, you’ll likely state that your LLC will hold annual meetings. Holding these meetings is easy once you have the right documents to keep track of a meeting’s checklist and minutes. Storing away these meeting documents will be important in showing that the responsibility of holding meetings for the LLC have been met, as per the terms of the documents that established the LLC itself. What kind of fees can I expect for filing an LLC? Fees vary, not only on a state-to-state basis, but on the charges you’ll receive if you go through an attorney or accountant. If you’re interested in saving the most amount of money possible, the best way to go about it is to register your LLC through state-specific legal forms that have been attorney-reviewed and are ready for you to fill out. You can also download “kits” that will take you through the process for a fee much less than what an attorney will typically charge you. Why should I form an LLC as opposed to another business structure? The LLC structure is ideal for many, but that does not mean it’s necessarily the right business structure for your enterprise. Other companies run as sole proprietorships, for example, in order to keep the structure simple. Some companies file as S-Corporations or C-Corporations. The tax benefits of an LLC are obvious (avoiding double taxation is a high priority for those who want to earn their primary income from an LLC they’re a member of) as are the liability protections that come with the structure. Most often, an LLC is a quick and easy way to form an organization that protects your property and liability and shields you from direct financial risk in your financial endeavors. What do I need to know before I form an LLC? You should have a full understanding of what an LLC is, what the structure will be like, and how the LLC will run. You can use a Pre-Organization Kit if you’re lost at any point in this process; it will help guide you through the process of forming an LLC and explain to you what your responsibilities are. How do I get named the manager of an LLC? Because an LLC is often a partnership between founding members, you’ll simply need the approval of the other members to be the manager of your LLC. You’ll also want to make sure that you are registered as the manager in the founding documents of your LLC. The limited liability company is a hybrid type of business structure. It contains elements of both a traditional partnership and a corporation. The limited liability company form of business structure is relatively new. Only in the last few years has it become available as a form of business in all 50 states and Washington D.C. Its uniqueness is that it offers the limited personal liability of a corporation and the tax benefits of a partnership. A limited liability company consists of one or more members/owners who actively manage the business of the limited liability company. There may also be nonmember managers employed to handle the business. In as much as the business form is still similar to a partnership in operation, there is still a potential for conflict among the members/owners of a limited liability company. Limited liability companies are formed according to individual state law, generally by filing formal Articles of Organization of a Limited Liability Company with the proper state authorities in the state of formation. Limited liability companies are, generally, a more complex form of business operation than either the sole proprietorship or the standard partnership. They are subject to more paperwork requirements than a simple partnership but somewhat less than a corporation. Limited liability companies are also subject to far more state regulations regarding both their formation and their operation than either a sole proprietorship or a partnership. In all states, they are also required to pay fees for beginning the company, and in some states, annual franchise fees of often hundreds of dollars are assessed for the right to operate as a limited liability company. Similar to traditional partnerships, the limited liability company has an inherent lack of continuity. In recent years, however, an increasing number of states have allowed limited liability companies to exist for a perpetual duration, as may corporations. Even if the duration of a limited liability company is perpetual, however, there may be difficulties if the sole member of a one-member limited liability company becomes disabled or dies. These problems can be overcome to some extent by providing, in the Articles of Organization of the limited liability company, for an immediate reorganization of the limited liability company with the deceased member’s heirs or estate becoming members of the company. In addition, similar to partnerships, it may be difficult to sell or transfer ownership interests in a limited liability company. The members/owners in such a business enjoy a limited liability, similar to that of a shareholder in a corporation. In general, their risk is limited to the amount of their investment in the limited liability company. Since none of the members will have personal liability and may not necessarily be required to personally perform any tasks of management, it is easier to attract investors to the limited liability company form of business than to a traditional partnership. The members will share in the potential profits and in the tax deductions of the limited liability company, but in fewer of the financial risks involved. Since the limited liability company is generally taxed as a partnership, the profits and losses of the company pass directly to each member and are taxed only at the individual level. A further advantage of this type of business structure is that it offers a relatively flexible management structure. The company may be managed either by members (owners) themselves or by managers who may or may not be members. Thus, depending on needs or desires, the limited liability company can be a hands-on, owner-managed company or a relatively hands-off operation for its members/owners where hired managers actually operate the company. A final advantage is that limited liability companies are allowed more flexibility than corporations in how profits and losses are actually allocated to the members/owners. Thus, one member/owner may be allocated 50 percent of the profits (or losses) even though that member/owner only contributed 10 percent of the capital to start the company. Which Legal Forms Do You Need to Start and Run a Limited Liability Corporation? For many people, the question of incorporating is one of the first questions they deal with in a new business. How should they incorporate? What type of company should they be in the eyes of the state? What does this mean for their taxes, their structure, and their overall future? For others, these questions are long-since settled: setting up organizations like Limited Liability Corporations (LLCs) is just another part of doing business in today’s environment. But if you want to get from A to B and understand what exactly an LLC requires, where do you start? Well, right here. Because in this article, we’re going to talk all about the legal forms that you need to not only start, but run an LLC so that everything is clear, legal, and ready for tax season. Let’s get started. One of the most important things you can ever do in your life is start a business, because depending on how that business grows, its finances can affect not only your future, but dramatically have a reach on just about every other area of your life. If you have a business that takes up all your time, it can put a strain on relationships and even your health. But if you have a business that is booming and plenty of free time as the business manager, then suddenly things don’t seem so bad. With that in mind, starting an LLC is also an important decision to make, which is why you’ll want to pay close attention to the articles of organization, or the initial filing papers, that essentially tells the state what your LLC is going to be called. When you file these papers, you’re also committing yourself to a certain tax structure and a certain organizational structure that will have to remain in place for the entire duration this business is an LLC. If you have other people in your LLC, you’ll also want to start out with an “operating agreement,” or what is essentially a contract between all of you defining each person’s role within the LLC. Running an LLC will mean that you have to encounter many of the various tax forms that any business would have to encounter - filing the right paperwork to hire people, file taxes, and generally run business as any other company would. But if you want to define specific forms relating to an LLC, it’s important that we do so now. Many of these issues relate to tax forms, and the good news about LLCs is that there’s a great amount of flexibility in the way you file taxes. For example, if you are a sole proprietor LLC, you can file taxes essentially as a sole proprietor, even if you have to report that your income goes to your LLC. These tax forms will not be very different from the tax forms you currently file now if you’re already a sole proprietorship. Articles of Organization: The charter of the limited liability company, the public filing with a state that requests that the company be allowed to exist. Along with the Operating Agreement, the articles provide details of the organization and structure of the business. The articles must be consistent with the laws of the state of organization. Assumed name: A name, other than the limited liability company’s legal name as shown on the Articles of Organization, under which a company will conduct business. Most states require registration of the fictitious name if a company desires to conduct business under an assumed name. The company’s legal name is not an assumed name. Capital: Initially, the actual money or property that shareholders transfer to the limited liability company to allow it to operate. Once in operation, capital also consists of accumulated profits. The net worth of the company, the owner’s equity in a business, and/or the ownership value of the business. Capital expense: An expense for the purchase of a fixed asset; an asset with a useful life of over one year. Generally, must be depreciated rather than deducted as a business expense. Managers: In a limited liability company, those persons selected by the members of the company to handle the management functions of the company. Managers of limited liability companies may or may not be members/owners of the company. Managers are roughly analogous to the officers of a corporation. Members: In a limited liability company, those persons who have ownership interests (equivalent to shareholders in a corporation). Most states allow single-member limited liability companies. Operating Agreement: The internal rules that govern the management of the limited liability company. The agreement contains the procedures for holding meetings, appointments, elections and other management matters. If this agreement conflicts with the Articles of Organization, the provision in the articles will be controlling. Operating margin: Net sales divided by gross sales. The actual profit on goods sold, before deductions for expenses. Perpetual duration: Existence of a limited liability company forever. Quorum: The percentage of ownership shares in the limited liability company that must be represented at a members meeting in order to officially transact any company business. Registered agent: The person designated in the Articles of Organization who will be available to receive service of process (summons, subpoena, etc.) on behalf of the limited liability company. A limited liability company must always have a registered agent. Registered office: The actual physical location of the registered agent. Need not be the actual principal place of business of the limited liability company. Retained capital: Limited liability company member/owner’s equity. See also capital surplus. Retained earnings: In a limited liability company, the portion of the annual profits of a business that are kept and reinvested in the company, rather than paid to the members/owners.